Started by metmike - Feb. 2, 2019, 9:12 p.m.
Are you sure you want to delete this post: OJ? By metmike - Feb. 2, 2019, 9:17 p.m.
Are you sure you want to delete this post: Re: OJ? By metmike - Feb. 2, 2019, 9:30 p.m.
Are you sure you want to delete this post: Re: Re: OJ? By metmike - Feb. 2, 2019, 9:36 p.m. It's been pretty dry in Sao Paolo the last few months. Are you sure you want to delete this post: Re: Re: Re: OJ? By metmike - Feb. 2, 2019, 9:39 p.m. 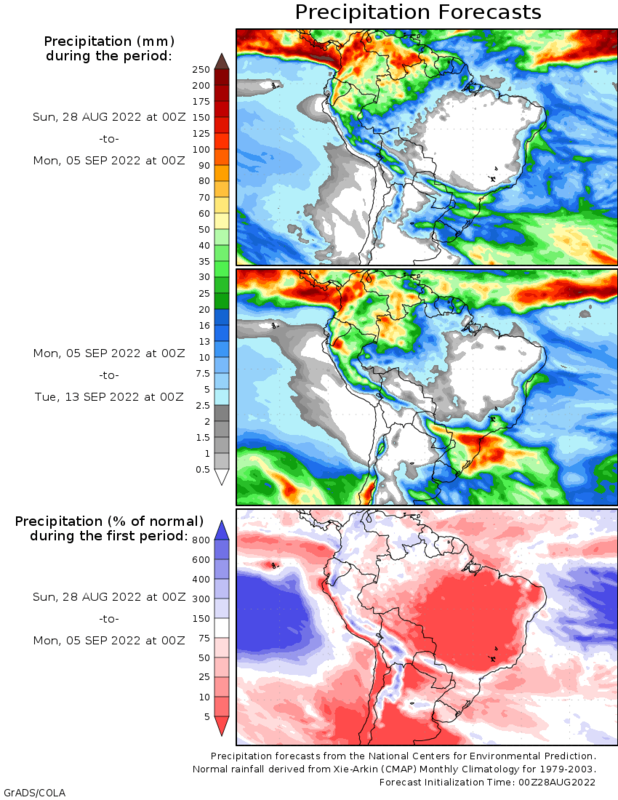 Potentially big rains coming...............just north of Sao Paolo in the next 2 weeks.......in coffee land. So the dryness for the orange groves will increase with temps a bit cooler than normal. Not sure how much of the crop is irrigated. Are you sure you want to delete this post: Re: Re: Re: Re: OJ? By metmike - Feb. 2, 2019, 9:52 p.m.
Are you sure you want to delete this post: Re: Re: Re: Re: Re: OJ? By metmike - Feb. 6, 2019, 2:11 p.m.
Copious rains north of OJ country in Brazil, drier to the south. Sao Paolo is right in between. Are you sure you want to delete this post: Re: Re: Re: Re: Re: Re: OJ? By hayman - Feb. 6, 2019, 10:31 p.m.
By hayman - Feb. 6, 2019, 10:33 p.m.
By metmike - Feb. 8, 2019, 11:24 p.m.
Orange Production Unchanged from January ForecastSpecial NoteThis report contains information normally published in the January Crop Productionreport which was not issued due to the lapse in Federal funding. The additional estimates are December 1, 2018 Hay Stocks and January 1, 2019 forecasted production of the 2018-2019 citrus crops.The United States all orangeforecast for the 2018-2019 season is 5.54milliontons, unchanged from last month but up41percent from the 2017-2018final utilization. The Florida all orange forecast, at 77.0millionboxes (3.47milliontons), is unchanged from last month but up71percent from last season’s final utilization. Early, midseason, and Navel varieties in Florida are forecast at 32.0millionboxes (1.44milliontons), unchanged from last month but up69percent from last season’s final utilization. The Florida Valencia orange forecast, at 45.0millionboxes (2.03milliontons), is unchanged from last month but up73percent from last season’s final. By hayman - Feb. 10, 2019, 12:23 p.m.
By hayman - Feb. 10, 2019, 12:28 p.m. Buyers breathed a sigh of relief with the confirmation of a large crop in Brazil during 2017/18, and FCOJ prices subsequently declined from the highs seen in 2016/17. However, that calmness has now vanished for two main reasons. First, the impact from Hurricane Irma in Florida will cause the state to produce the smallest orange harvest in over 70 years, with another small harvest likely to follow in 2018/19. Second, early signs point to a smaller harvest in São Paulo in 2018/19, due to significant dryness in September and October of 2017 which caused fruitlets to drop in sizeable numbers. While demand will continue declining both this year and next year, at around 4 percent in volume, the market will tighten again by the end of 2018/19 and approach record-low stock levels. Higher prices seem likely in 2018/19, given our current outlook. By metmike - Feb. 10, 2019, 12:29 p.m.
That link does not work for some strange reason but it's a wonderful article that, we're grateful to you for finding. By metmike - Feb. 10, 2019, 12:32 p.m. I also could not open your 2nd link but the report reads to me as being one from 1 year ago based on all the statements you copied. By hayman - Feb. 10, 2019, 4:03 p.m.
It’s not called The Sunshine State without reason. But orange juice traders are still hoping there’ll be some freeze in Florida soon to tamp down a bounty crop that has crushed prices of the citrus product to near three-year lows. Frozen concentrated orange juice (FCOJ) futures tend to be highly sensitive to weather conditions in Florida. Winter often brings crop freezes and significant rallies to the market. Yet, that hasn’t happened this time. In its last crop report issued before the December 22 government shutdown, the U.S. Department of Agriculture forecast orange production for the current season at 77 million boxes, or 3.47 million tons. That’s 70 percent more than in 2017, when many of the state’s fruit trees were destroyed by Hurricane Irma. Such bountiful production might be good news for citrus farmers in Florida, who aim to sell as many boxes as possible to juice processors each year. 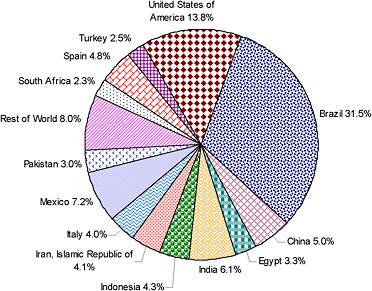 But an outsize crop is not helpful to FCOJ contracts, which trade up and down on production data out of Florida. FCOJ futures lost 13 percent of their value in December alone, ending 2018 with an 8 percent drop. That was still an improvement over 2017, when prices fell 31 percent despite the crop destruction from Hurricane Irma that supported prices for several months. The dawn of 2019 hasn’t brought much hope for juice traders looking for higher prices. The warm Florida weather has continued to punish traders with long positions in FCOJ, driving the key March futures contract on New York’s ICE Futures exchange to a 34-month low of $1.1865 per lb earlier this week. So far into 2019, most of the 33 commodity futures traded either in New York or London and tracked by Investing.com (desktop users click here and go to “performance” to see list), are up. Some energy commodities, like oil and natural gas, have even posted double-digit gains. But FCOJ is seeing one of the worst returns, with a loss of more than 4 percent within the first two weeks. Investing.com’s daily technical outlook also has a “Strong Sell” call on FCOJ. And it’s not just the futures market that’s been getting poorer. 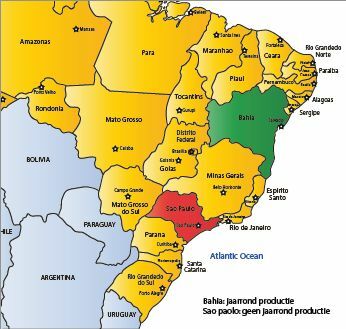 Despite the higher production now in Florida, the physical juice market continues to be dominated by Brazilian producers, who became a major competitor to U.S. farmers in recent years by offering lower-priced and comparable-quality supply to brands like Pepsi's (PS:PIP) Tropicana and Coca-Cola's (NYSE:KO) Simply Orange. By metmike - Feb. 12, 2019, 1:59 p.m. 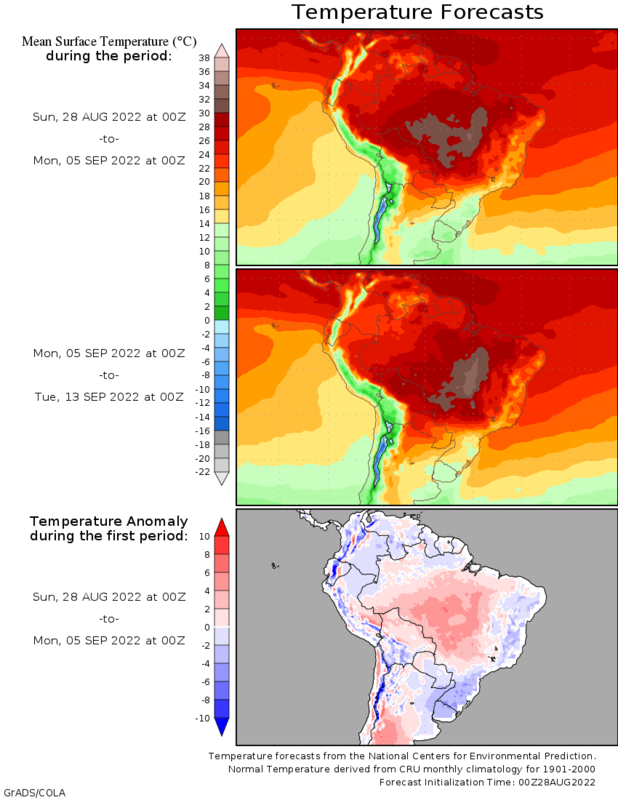 Some nice rains coming to Sao Paolo in Brazil for the orange crop there.